The bottom line is that they contain very high levels of unstable, damaged inflammatory omega-6 fats, primarily found in soy, corn, cottonseed, sunflower, safflower, flaxseed, grape seed and canola oil (which also contains rancid omega-3 fats) and are a category of polyunsaturated oils found in seeds and grains. The seeds are mostly ok, concentrating the oils from them isn’t. You can imagine – to make an entire bottle of seed oil takes violent and heavily industrialized processing. Omega-6 vegetable oils are not generally fats that you could easily produce in the comfort of your own kitchen like the simple and age old process of pressing olives into olive oil (a monounsaturated omega-9 fat) or churning cream into butter. So how do these other oils make us fat? 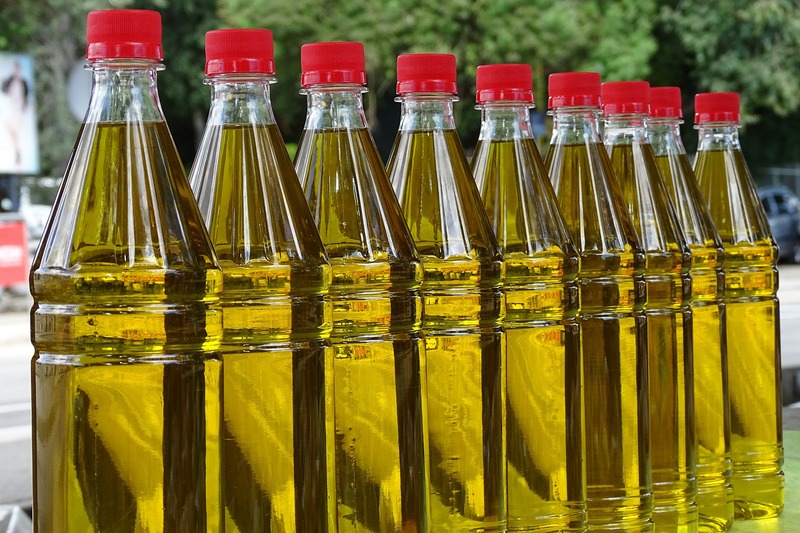 While a very small amount of omega-6 fats are necessary for health (which we get from our food), over and above that these vegetable oils contribute to overproduction of neuromodulatory lipids called endocannabinoids that are responsible for signalling hunger to the brain, and these cause overeating. You might notice that the name endocannabinoids sounds a bit like cannabis – in fact omega-6 vegetable oils can be likened to the marijuana of fatty acids. (Now you know why that packet of chips is so hard to stop eating… it’s coated with one of these toxic seed oils). Don’t forget too that “organic” dressing loaded with omega-6 oils on your salad at lunchtime… avoid anything with seed oils! Try overeating food cooked in tallow or butter – it’s just not possible! Why? Whole natural fats like tallow satiate you and keep your blood sugar steady so you stay full and eat much less. Omega-6 vegetable oils, on the other hand, cause you to keep on eating and never satisfy your hunger. They even create cravings. Returning to the traditional fats we ate before the industrial fats made an appearance – fats like tallow, real butter and lard – never appeared to cause obesity, heart disease, cancer or diabetes. These are modern diseases which arose with the advent of industrial, toxic fats and oils. More and more people are realizing that eating real food which is whole and recognizable in its original form, is the way we need to be heading. Eating a lower carbohydrate, healthy fat diet is a healthier way of living.